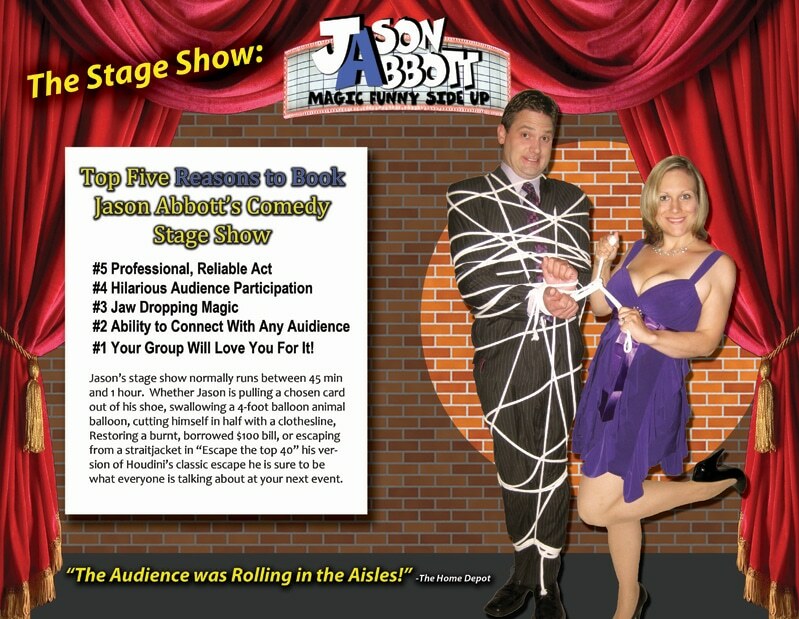 One part magician three parts comedian Jason Abbott entertains audiences nationwide with his hilarious brand of comedy magic. He has been on FOX, NBC and ABC and has performed for multiple celebrities, hundreds of colleges and top companies nationwide. In fact, he appeared (and disappeared) in 27 states last year alone. 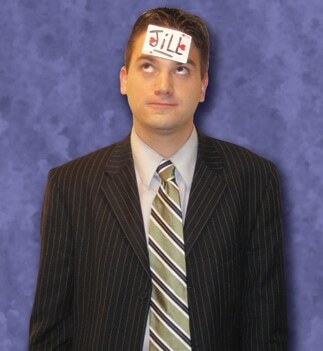 The secret of Jason’s success is combining fresh, original magic with quick wit and outrageous situational comedy. His rapport with the audience is what makes him stand out among other headlining acts. Great as an addition to a show or on its own, Jason gets people laughing while witnessing miracles inches from their noses. He can stroll from table to table during the dinner hour or mingle with your guests during cocktails. Jason does skillful Vegas-style card magic, spoon bending, produces a two-pound rock out of his shoe, as well as other tricks with his tie, a dollar bill, rope, a super ball, and more! 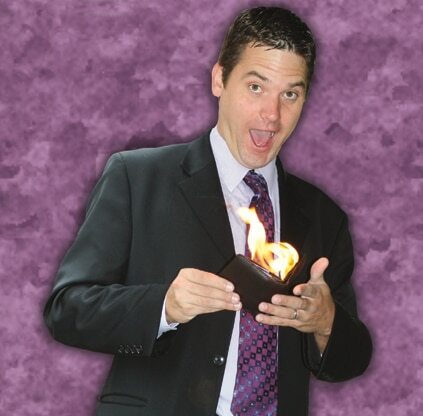 Jason’s strolling magic is a great ice breaker and the perfect addition to any event.